I have been a rose gold fanatic forever...I mean literally when it wasn’t available like it is now, I was in search of it. As much as I love the rise of Rose Gold over the last few years, finding rose gold nail polish has alluded me. I didn’t want glitter or sparkle. I wanted metallic! And not the color that you buy and the bottle looks great, but when you paint it on it is see through and weak. I wanted the bullet proof color. And yet, whenever I walked into a nail salon, the best I could find was glitter or sparkle. That was until this month. How/Why? I was in desperate need for a manicure and needed to find a GOOD place that wasn’t 10 miles away. So I spent some serious time (again) on Yelp. This time I found a place that I hadn’t tried before. 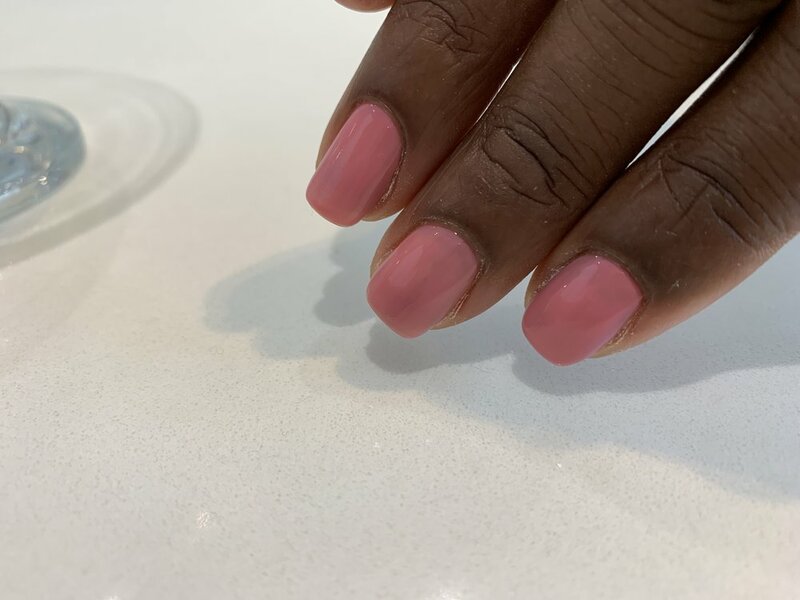 From the pictures it looked instagram worthy and the reviews were surprisingly solid—two things that are hard to achieve for nail salons on yelp, so I decided to go for it. Ready to get my staple while nails in gel, like had soooo many times before, I walked in hoping to find something inspiring for my party nail. I was so excited and soon decided to go for it, shun my white and go for the Gold! (Rose that is). The whole experience was the gift that kept on giving. The team was lovely and it just so happens that the process for making my nails metallic as anything but ordinary. Apparently they use bubble gum pink polish as a base to get the rose. I chuckled, because I have never (except for perhaps a Barbie nail polish when I was young) done bubble gum pink on my fingers. 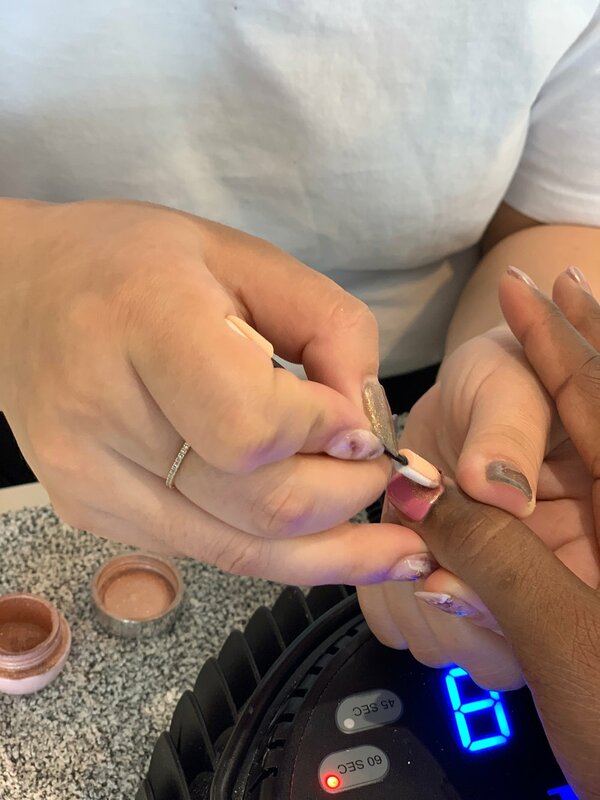 Next came the metallic rose gold powder that was applied with an old school eye shadow brush (like the one that Barbie make up came with) to rub the powder on my nails and transform them. And I am now in love. 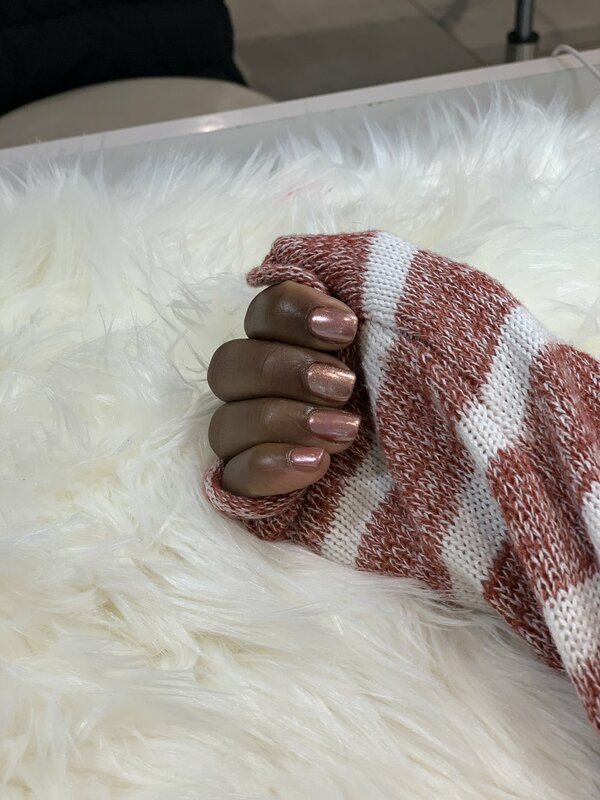 Have you ever tried metallic nail polish?